Sumo Princess - featuring Abby Travis and Gene Trautmann. 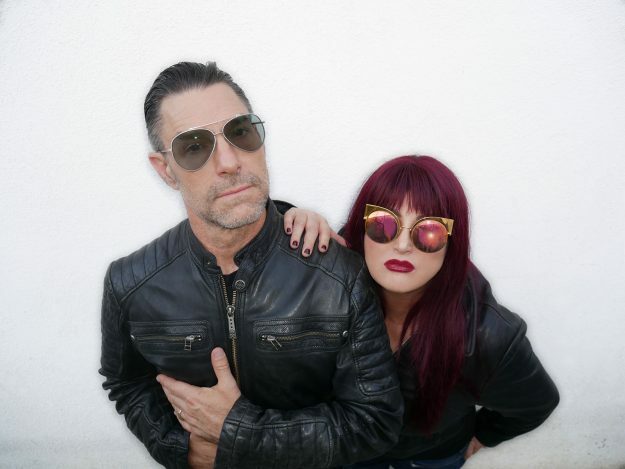 Travis and Trautmann both have impeccable rock’n’roll pedigree including work with rock luminaries such as Cher, Queens of the Stone Age, Eagles of Death Metal, Masters of Reality, the Go-Go’s, Beck, KMFDM and more. 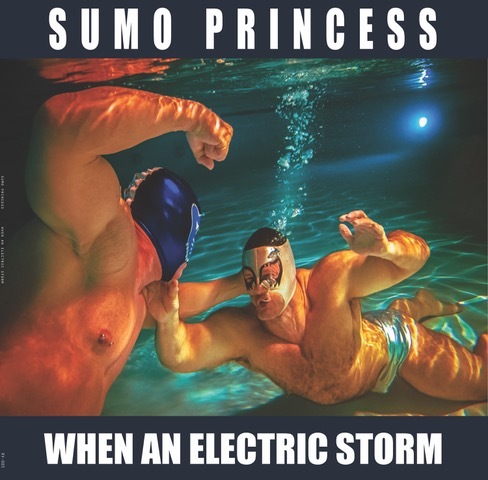 April 22, 2019 (Los Angeles) – Sumo Princess are set to release their new studio album, When An Electric Storm , on May 8th. Tour dates with the Meat Puppets (whose Cris Kirkwood calls Travis “one of the great bass players in the world”) run from May 8-18. The band will celebrate their album release with a show at the Bootleg Theater in Los Angeles on May 26th. “The album was recorded in 2017 and 2018,” Travis explains. “Basically any time I was at home, in between touring with Cher and The Go-Go’s, and Gene was also available; we’d just record stuff whenever we could.” Of the seven tracks, four were mixed and basics were tracked by by Mathias Schneeberger (The Obsessed, Sunn, Mark Lineman, Afghan Whigs). But she adds “all the vocals and most of the keys I recorded myself at my studio, Tarantula Ranch.” The credits also include David O. Jones who recorded at Wasatch Studios and mixes Ed Munsef, Mathias Schneeberger and Travis. Abby Travis has been touring professionally and working as a session player since the early 1990s. Her body of work includes international tours or albums with artists like Cher, The Go-Go’s, Beck, Elastica, KMFDM, Eagles of Death Metal, and Masters of Reality. Her career is punctuated by historic performances like her show with U2’s The Edge, Juliette Lewis, and Rage Against the Machine’s Brad Will at the 2017 Women’s March in downtown L.A. which Billboard Magazine reported on. Bass Magazine premiered the video for the first single, “Click Bait,” and enthuses “Abby Travis plays heavily fuzzed and effected bass while singing in her 3 octave range…the band has been compared to Royal Blood meets the B52s and Motorhead meets Nina Hagen.” While music critic Steve Hochman (California Report) has compared her earlier work to glam-era David Bowie. When An Electric Storm is available on vinyl through Ruined Vibes and digitally on Educational Recordings. The band tours with CDs for sale and also makes them available to fans on their website. In addition to Sumo Princess, fans can also tune into the podcast recorded in vert style called Sounds Off with Abby Travis (guests include Tom Morello/Rage Against the Machine, Exene Cervanka/X, Alice Bag, Norwood Fisher/Fishbone), and follow her studio and touring work at AbbyTravis.com.